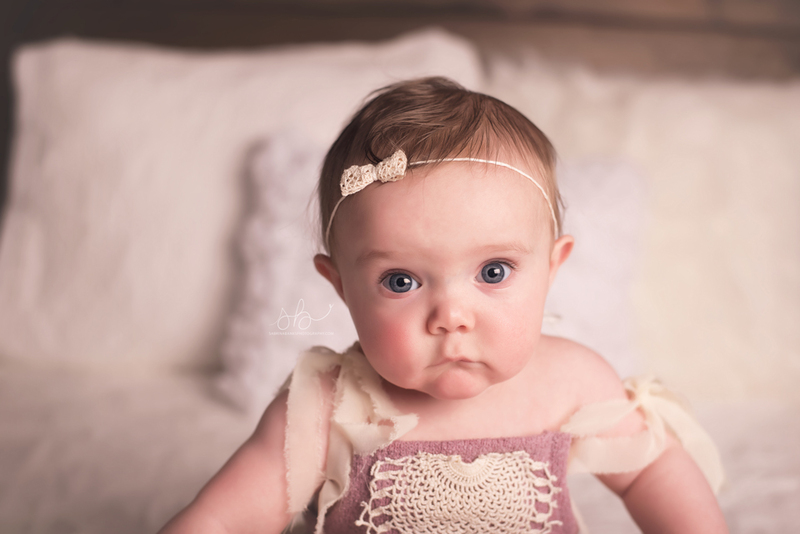 This sweet little lady came to me for her newborn pictures and returned for her 6 month portraits! It is one of my favorite things watching these tiny humans grow. Especially in their first year. Roxy’s mom is also a photographer, and it is always such an honor when a photographer chooses you to capture their child’s portraits! Roxy got to be the first to try out of my new bed set up, and I am in love with the images we got from her session. Check out her birth mark on her tummy! Her big sister had the same one! This outfit is just to die for on her chunky baby body. I mean check out that belly! I love this shot because it shows some of her cute personality! She wasn’t completely stable sitting on her own (some of the other images were composites, where mom was holding on to her and I removed mom’s hand/arm). 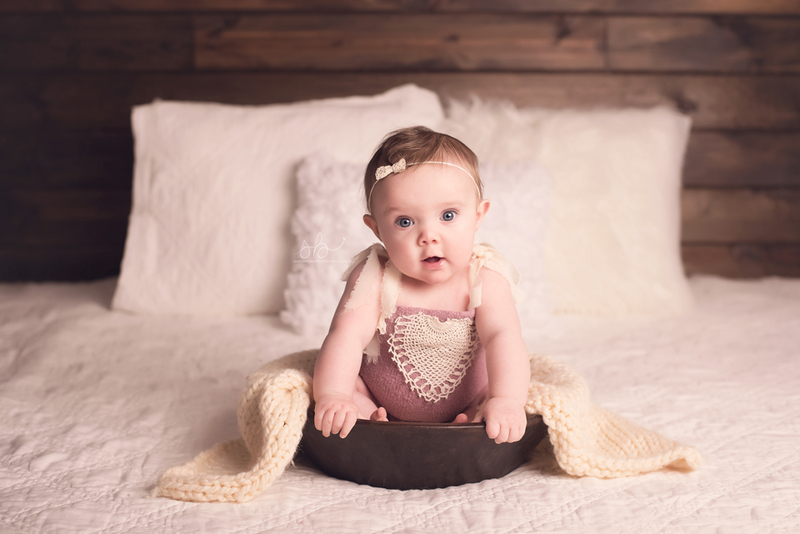 I stuck her in this wooden bowl which is my absolute favorite for babies who aren’t quite sitting on their own yet! Those eyes! She has such beautiful blue eyes. This also shows off her perfectly chubby baby cheeks. 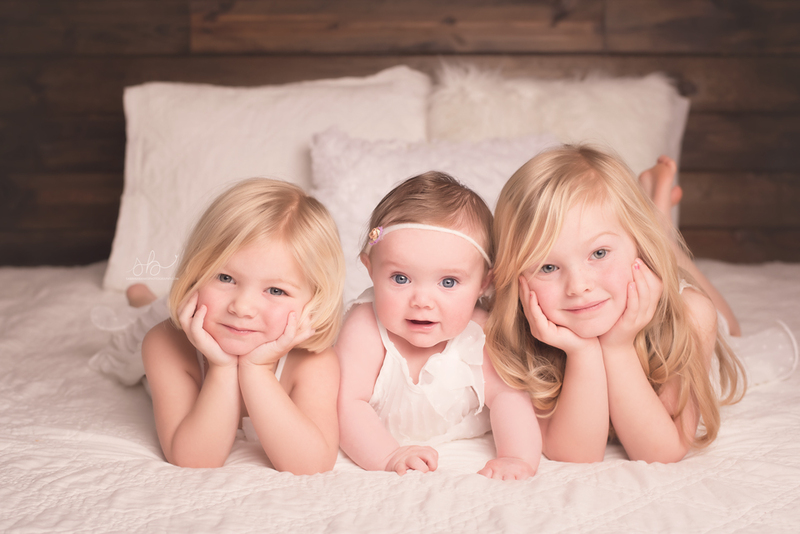 Roxy’s big sisters Rykker and Raegan hopped in for a few shots as well! How cute are these three together! Here is a little peak in to the rest of Roxy’s 6 month gallery. 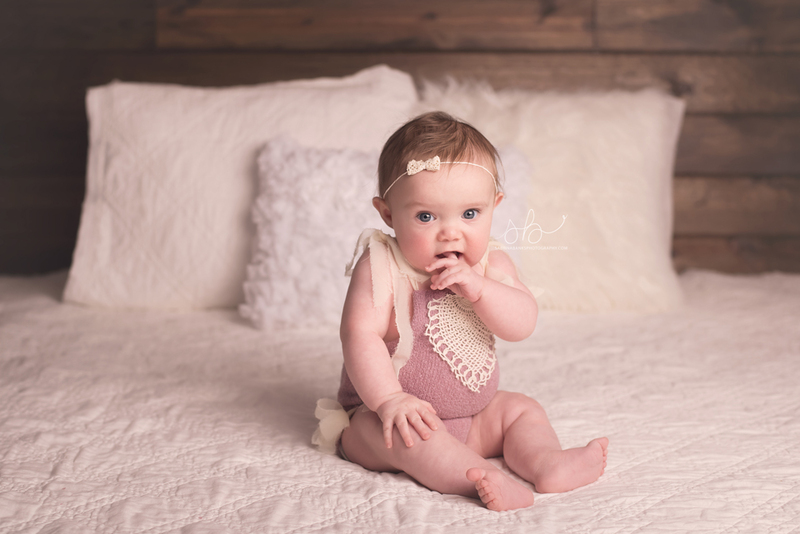 Thank you for choosing me to capture your baby’s six month portraits!